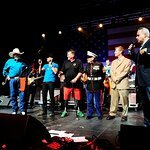 SafetyHeroes.org is pleased to present the 7th annual fundraiser benefitting the Injured Marine Semper Fi Fund on Tuesday July 5, 2016 from 6 to 8 p.m. at City National Grove of Anaheim. The event will be hosted by Safetyheroes.org Founder, Mark J. Peacock of the Law Offices of Mark Peacock, and will raise proceeds in support of Injured Marine Semper Fi Fund. The annual fundraiser will welcome and celebrate hundreds of local law enforcement, fire and military personnel including both active and retired members from various LA and Orange County Police Departments, Redondo Beach Police, Huntington Beach Fire, Orange County Fire Authority, Orange County Deputy Sheriffs, Long Beach Police & K9 Units, Anaheim Fire, California Department of Corrections, U.S. Marines, Huntington Beach Fire and more. 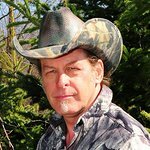 Guests will enjoy a GONZO inspired performance by activist and American rock legend, Ted Nugent. 100% of the proceeds raised will benefit The Semper Fi Fund. The Semper Fi Fund directs urgently needed resources to post 9-11 members of the Marine Corps, Army, Air Force and Coast Guard who serve in support of Marine forces. The non-profit provides relief for financial hardships that arise during hospitalization and recovery as well as assistance for those with perpetuating needs. The programs provide support in a variety of ways including service member and family support, specialized and adaptive equipment, housing and transportation, education and career transition assistance, therapeutic arts and Team Semper Fi. Those interested in attending the SafetyHeroes.org fundraiser on July 5 and learning more about the organization can contact mark@markpeacocklaw.com or call 949-660-7762.